O. Henry's short stories are well known for their wit, wordplay, warm characterization and clever twist endings. 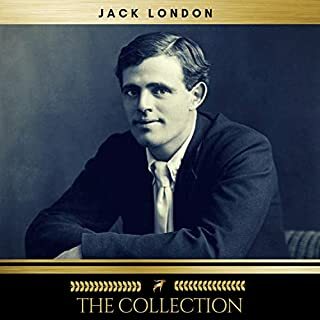 Includes: "By Courier", "Jimmie Hayes and Muriel", "School and Schools", "Roads of Destiny", "A Blackjack Bargainer"," A Cosmopolite in a Café", "Christmas by Injunction", "Mammon and the Archer", "A Bird of Bagdad", "After 20 Years", "From The Cabby’s Seat", "Lost on Dress Parade", "Memoirs of a Yellow Dog", "Tobin’s Palm", "Transients in Arcadia", "The Trimmed Lamp", and more. I was suckered but it was my own fault. I should have known that a complete collection of O. Henry’s short stories couldn’t be recorded in only 14 hours, 40 minutes. I didn’t even take the time to read the list of only 49 stories thoroughly. All I did was notice that MY favorite, “A Retrieved Reformation”, was included. My 900+ page book of O. Henry’s stories has something over 200 stories, and it doesn’t claim to have all of them. The last Audible book I got that was that long (The Count of Monte Cristo) required 47 hours to read. I should have known. Even knowing this, I would buy this audiobook again. It’s cheap and well worth the price. 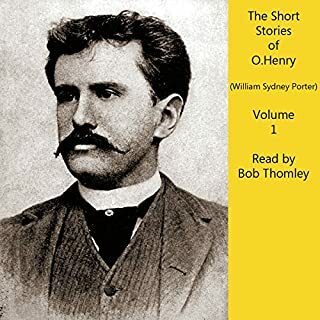 I won’t attempt to critique O. Henry’s work, as most high school graduates have read at least one or two of his short stories. You should already know about his tendency towards surprise endings. What I had forgotten was his other tendency towards depressing endings. 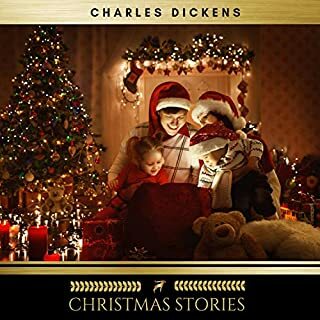 “The Gift of the Magi” and “The Last Leaf” are two good examples, but there are several other stories in this collection that are also downers. The earlier reviewer is correct that you really must listen to these stories to get all the important parts. O. Henry wrote SHORT stories, so almost every word is significant. He didn’t use long descriptions just to fill pages. Also, as previously stated, the language is stilted compared to today’s usage. Remember, he died in 1910. These stories do require your attention. The reader is absolutely excellent. He knows exactly where to emphasize each word and has enough different voice personalities to make it easy to understand who’s talking. One last note regarding the limited number of stories on this recording: The list by the publisher claims that there are 49 stories. This is incorrect; there are 46 stories. The missing ones are: “The Caliph”, “A Blackjack Bargainer”, “The Trimmed Lamp”. I love his stories! Still relevant today. I don't know if this truly is a "complete" collection, but the ones that are here are great. The stories that standout for me are some classics, "The Last Leaf", "Ransom of Red Chief" and "The Gift of the Magi". "The Princess and the Puma" was a delightful western tale of cowboys and girls to be rescued or vice versa. "Fickle Fortune or How Gladys Hustled" is the story of a shopgirl looking for fun and a rich guy to latch on to. She has to be able to recognize what they actually look like to succeed. My favorite was early on in this collection "Jimmy Hayes and Muriel" the western story of a young cowboy and his pet horned frog (toad) named Muriel. This story was such a delight I listened to it twice. O'Henry's stories are often humorous and always witty and very human. He was able to see how real people lived at the same time F. Scott Fitzgerald was documenting the rich of the lost generation. Each section starts with the title of the story and then "read by Bob Thomley". By the end of the book Bob feels like an old friend. His reading is great! 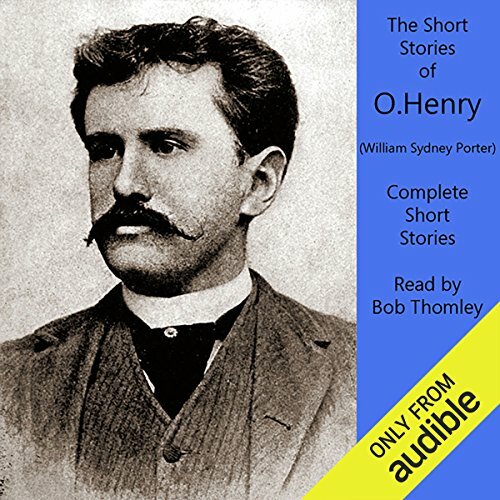 Would you listen to O. Henry: Complete Short Stories Collection again? Why? Bob Thomley does an above board job, with great character voices in cameo, as well as his narration. I know reading for audio-books is a labor-intensive job, and most readers do a good job of preparing for reading difficult words, names, or foreign languages that appear in their text. But Mr. Thomley, in the O. Henry short story Christmas By Injunction, actually said "en-u-ee" (sounds like N-U-E) for the word 'ennui', a commonly known french noun meaning boredom, (pronounced änˈwē/), in this passage: Bobby had retreated to a distant chair, and was coldly regarding the scene with ennui plastered thick upon him. Other than that, so far a great listen, and, of course, the stories are great even when they sometimes don't come to a satisfactory conclusion for me. Yes absolutely. And I have to many. O. Henry's short stories are filled with unpredictable twists, predictable twists that you so badly want to happen, truly elegant and enviable English and lovely ambushes of wit and humour. There is no impedance as you may find in other classics. What other book might you compare O. Henry: Complete Short Stories Collection to and why? I think O. Henry is inimitable. I have read other superbly composed English. I have read cleverly constructed short stories (Harry Harrison comes to mind). And I have read laugh out loud comic juxtapositions (like Douglas Adams). But I've never enjoyed all three together the way O. Henry does it. Which character – as performed by Bob Thomley – was your favorite? There are so many characters in a short story collection that this is tough. Lets just say that Bob Thomley, does the stories proud. He brings all the characters to life with excellent accents and tones. All of the short stories have a twist. Or they don't have a twist you are expecting. That's the charm of them. This is a thoroughly enjoyable expedition into recent history with a narrator who brings the characters to life and leads you thorough the elegant and superbly decorated language without hesitation and delivers you the fun and humour in the deadpan manner I'm sure O. Henry would have approved of. Did O. Henry: Complete Short Stories Collection inspire you to do anything? Would not have purchased if I knew it was set up this way - O. Henry is wonderful - The presentation and no-naming is a deal killer - not recommended. What would have made O. Henry: Complete Short Stories Collection better? I have no doubt the writing and, most likely, performance are what I wanted. What was most disappointing about O. Henry and William Sydney Porter ’s story? I'd like to hear the Audiobook I bought! What didn’t you like about Bob Thomley’s performance? Will never know, I guess. Considering that Audible is an Amazon department, they could not have made this less friendly for a customer than this. I'd like to either be able to listen to the book on Echo (not a recognized title) or get my money back. I'd be a better Audible customer if it were a user friendly place. Far from it! As others have noted, this is not the complete collection of O. Henry's stories. This collection contains less than fifty, and Henry wrote hundreds. It probably got the name "complete" because it combines a volume 1 and volume 2 that are available separately on Audible. 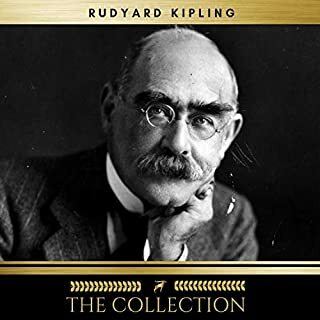 Nonetheless, it is a great collection, and the reading is superb. Enjoyable reading, especially since many have surprise endings. I liked the reader's performance. He doesn't overdo it. Mitch in keeping with the deadpan humor of O. Henry. Would you try another book from O. Henry and William Sydney Porter and/or Bob Thomley? Probably not.. the verbage used in the time this book was written is very different from today. Much concentration is required to get the full meaning of the story. This is a difficult title to listen to while driving. 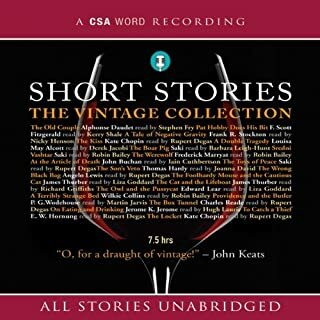 What did you like most about O. Henry: Complete Short Stories Collection? Which character – as performed by Bob Thomley – was your favourite?